Have you ever wondered why, in spite of doing all the right things, you may still be piling on some unhealthy weight? Today we have a new story to inspire and motivate you to lead a healthier lifestyle. Let’s hear Stephanie Lincoln’s journey. You began your fitness journey in 2015, when in spite of doing all the “right” things, you were gaining pounds. What motivated you to embark on this journey? The motivation was a picture that was taken of me on Thanksgiving Day in 2015. My sister posted it on social media and when I saw it, it was like a slap in the face. I had not realized until that moment how obvious it was that I had gained weight. 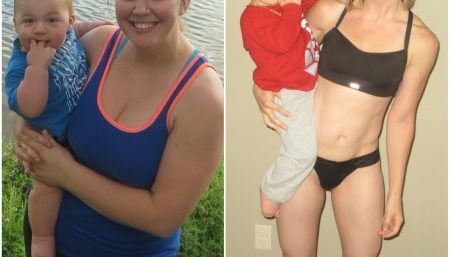 And I think at the time I was in denial about the fact that I had gained almost 20 pounds in a year and I was at the heaviest I had ever been in my life. 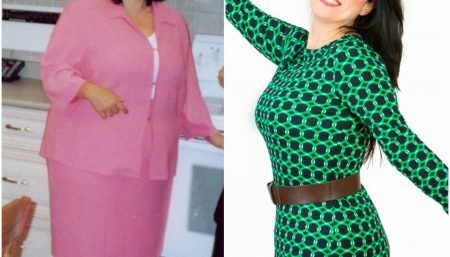 I had always yo-yo dieted and was able to lose some weight, but it seemed that every time I put the weight back on, that “highest number” would creep up a couple more pounds. But what was baffling to me is that at the time, I was considered “very healthy” by everyone I knew. I ran 3-6 miles 3 times a week. I did Power Yoga 2 times a week. I was eating all the “right things”. I was eating things like oatmeal, whole wheat bread, hummus, fruits and veggies and lean meats. But my weight kept creeping up. The biggest milestones that I had to overcome were my preconceived notions of what is “healthy”. We all have been told the same thing. Stay away from fat. Workout a lot. Eat “whole grains”. Calorie cut to lose weight. When I started devouring the latest research in weight loss, all of these things I believed were debunked. I had never taken the time to learn how my body worked. What biologically causes people to gain weight. How to eat in order to control those mechanisms in the body. It was so hard not to fall back on my old way of “dieting”. I couldn’t believe that I should be eating more calorie dense foods like fatty meats and full-fat dairy. Also on the exercise side of things, that a more effective way to workout was not the way I was doing it (i.e. running for hours). All the research out there showed that shorter, but intense workouts were much more effective with weight loss. I actually thought I was in great shape because I could run 6 miles fairly easily. I will never forget my very first high-intensity interval workout….I learned very quickly that I was in fact not in shape at all. I could barely make it through the first 10 minutes. I had to take several long breaks just to get through it. I had to force myself to view this as an experiment and let go of the old way of doing things. Because obviously, my way of doing things to lose weight was wrong. I committed to just do it for 30 days and see what happens. What is your workout routine like now? I workout less than I did before! Before I would run for about an hour and a half to 2 hours. I would also do power yoga which were hour classes. So I used to workout about 7 hours a week. Now, most of my workouts are about 30 minutes. I still do yoga on Sundays which is an hour, but it’s not power yoga, it’s more of gentle stretch class. I alternate cardio and strength days. On Mondays, I usually do one of my Program’s workouts, which is a 25 minute HIIT cardio and body weight strength training routine. Tuesdays are 30 minutes of upper body strength training with weights or some other functional fitness (like TRX or weighted sandbags and pull-ups and pushups). Weds are usually a rest day or I will do about 15-20 minutes of yoga to stretch. Thursdays are back to 20-30 minute HIIT Cardio routine (usually one of my own Programs). Sometimes I switch this up and do sprint intervals on a bridge or spin bike. Fridays are leg day 30 minutes with weights or a body weight leg routine. Saturdays are a rest day, but I always do something active if the weather is good, walk on the beach, etc. Sundays I do a 1-hour gentle yoga class. I am not spending hours pounding pavement. I am not spending 2 hours in the gym like I use to. Most of my workouts are about 30 minutes. It’s about working smarter not harder now and I love the time savings! My body has never looked more defined and lean, and I have never been fitter. And the fact that I am pushing 40 says a lot about how effective this is! I am fitter than I was in my 20s! I almost never eat breakfast. 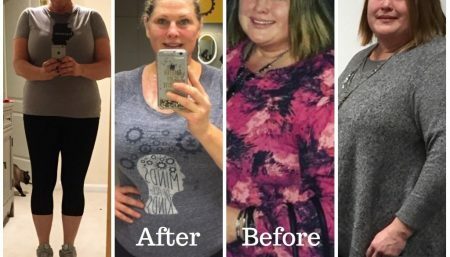 I am just not hungry in the mornings and what I have learned most about this journey is that you need to listen to your body and honor what your body needs. (P.s, no one’s body needs a donut for breakfast, no matter how much you can say you need it…seriously..its basically cake for breakfast. I can’t believe I used to do this!). I usually have 2 cups of coffee throughout the morning blended with heavy cream and cinnamon. I listen to my body and if I feel hungry, I eat. Most days I don’t eat anything until about noon to 1:00 pm that’s when my tummy starts getting a little rumbly. If I am at work, for lunch I almost always have a shake. I have my own line of MCT Shakes and bars with my business, so I usually have that. I blend a scoop of my MCT shake powder with a scoop of protein powder and blend it with whatever I am feeling that day. Could be some all natural peanut butter, or a banana, or some cocoa powder. I always use extracts for flavoring (almond extract, vanilla, etc.). Or I have one of my MCT bars. Both of these lunches have a good amount of healthy fat derived from coconuts, so it makes me feel really full and helps me power through the afternoon. Usually, about 4:00 pm I have a quarter cup of mixed nuts, macadamia nuts, whatever I happen to have in the office. I don’t usually leave the office until about 6:30, so when I get home I have dinner. Dinner almost always consists of a meat or fish with a side of veggies. Or just a huge salad. A greek salad with gyro meat is my favorite. Or a mexican style with avocado, sour cream and steak. I may have a snack at night if I am hungry after dinner. Usually a scoop of peanut butter or nuts. Or a few slices of an apple. My go to snacks as you probably have derived from my typical day are nuts, peanut butter, and high-fat shakes, and bars. Since I am so busy, this works best for me. When I am home or if its the weekend, I am able to take more time to sit and eat. I usually have boiled eggs, cheese and apples in the fridge for a quick snack at home. You had to deal with being hypoglycemic while losing weight, how were you able to do so? This was the best part of my journey. When I stopped consuming grains and sugar, my blood sugar lows occurred much less frequently. I didn’t struggle with having to eat every 2 hours anymore. Eating much more fat gives me much longer lasting blood sugar and hunger control. I always have fat anytime I eat. When I eat fruit, I always have it with a fat (apples and cheese or peanut butter). I don’t eat sugar or grains, so I don’t experience that after-meal sleepiness that most people get about an hour after they eat. That sleepiness is the blood sugar low in the blood sugar spike from a high carb meal. Because you don’t experience that blood sugar roller coaster eating high fat and moderate protein, I hardly ever have a blood sugar issue. The only time that I do have lows is when I have been eating more high carb than normal or if I have had alcohol, which definitely wreaks havoc on my blood sugar. I used to have to carry food with me everywhere I went because I was so stressed about having a sugar low and not being able to get to food. I had a few bad episodes where I got close to passing out (and did a few times) in public places because of this. I can say that since I started this eating plan I have never once had that happen. This isn’t just about the number on the scale or the fact that I was a tight fitting size 8 and now I am a size 2. All the things that I suffered from that I thought were just a part of my life, my hypoglycemia, my acne, my frequent headaches, my back and knee pain, my frequent constipation and stomach pains, the fact that I was tired ALL THE TIME despite getting plenty of sleep is gone. 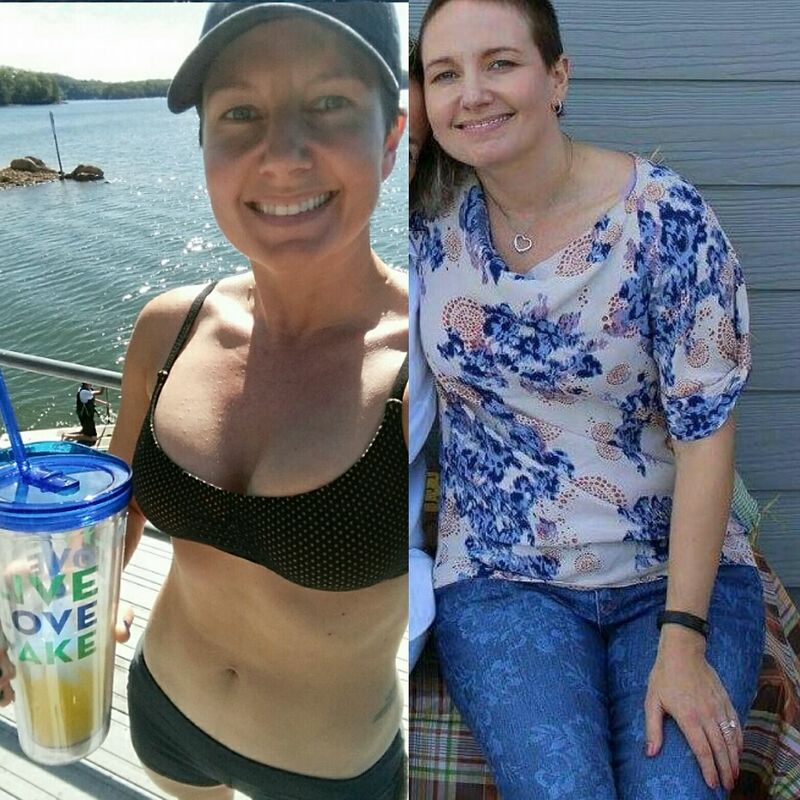 I had so many things that made me miserable on a daily basis going on in my body and to be completely free of them is worth every amount of effort I put into my eating plan and exercise. For the first time, I approached this journey with the intention to work WITH my body and not AGAINST it. I stopped punishing myself and depriving myself. I found a way to do the necessary things for my body and enjoy it! I love the way I eat. I love my fitness routine! I don’t approach my workout with the mindset that this is punishment for the 2 months of bad eating I did. Or starve myself for punishment for putting on 10 pounds. The best part about this is the positive mindset that I have and that this is a journey. I know I am on the right path every day to optimal health and weight. I don’t care about the number on the scale, I only care about feeling healthy and being free form all those issues that plagued me before. 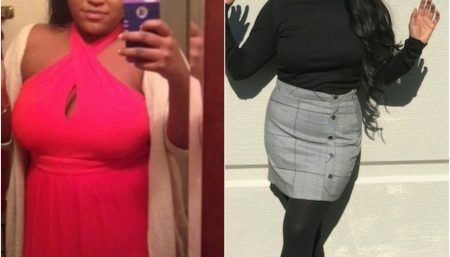 What are the major benefits of following a Keto Diet? It’s very easy to follow and a very satisfying way of eating! I mean, you can go into any restaurant and order a steak and veggies! There is no stress, counting points or calories. Just listen to your body and eat when hungry, its that simple. Am I passing up the bread basket? Yes of course, but I feel so much better now that I don’t even care. I have yet to encounter a restaurant that I cant find something to eat that meets my needs. I don’t feel deprived or left out. I feel like this is something I can do for the rest of my life. Keto is not about counting the days until your “diet is over”. You are happy to eat this way and it’s not a burden.